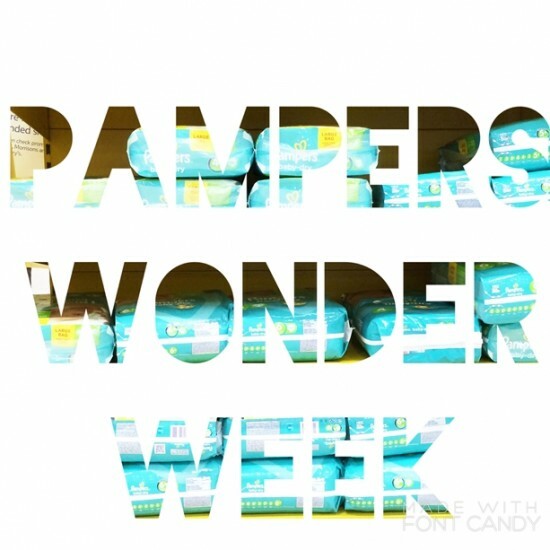 Pampers recently held one of its limited-time Wonder Weeks, with discounts and deals on a wide range of Pampers nappies, across a wide range of retailers in the UK. All the offers were bulk-buy deals; in other words, shoppers qualified for the savings by purchasing multiple boxes or packets of the Pampers products on offer. For those who plan ahead, there are significant bulk-buy savings to be made in British stores and supermarkets. As part of its Wonder Week promotion, Pampers asked me for my five top tips – and here they are. Let’s begin with the basics. In the UK, a product’s price label on the supermarket shelf will also specify the price per unit: the cost per 100ml, or kilogram, or item in the pack. If you are considering a bulk purchase of a product, then check this price-per-unit, compare it and make a judgement call before heaving the product into your trolley. If the product is perishable: are you certain that you will finish it before it expires? If not, bulk-buying may end up losing you money instead of saving it. Babies have dastardly talents for outfoxing the best-laid plans. Take my lovely new Thrifty Baby: it was quite a surprise when my distinctly average-sized bump produced an unexpectedly big baby (9lb 13oz). A few weeks on, he has already outgrown his 0-3 month outfits. As for wipes, trust me: if you are planning to use them, you’ll be buying the packs for YEARS. Your bulk baby wipe stockpile will get used. “Stack” coupons and offers for additional savings. In couponing parlance, to “stack” is to put multiple coupons, discounts and/or other special offers such as cashback deals towards the purchase of a single item. Cut coupons from magazines and newspapers, print them from sites such as SuperSavvyMe and monitor the cashback offers on the CheckoutSmart and Shopitize phone apps. Keep an eye on supermarket deals via MySupermarket, so that you can pounce at the best possible time. It’s on your head. If you end up with a cupboard full of face cream that brings you out in a rash, or a food brand that turns your tummy, you will have learned the hard way. Fortunately, many of the baby brands are available to try at no cost or low cost: Pampers, for example, will send you free samples. Other baby-related brands can be sampled via the Bounty bags handed out in antenatal clinics and hospitals. Remember to adjust your household budget. For those new to bulk-buying, here is a neat idea from an American money-saving blog, which is applicable to UK shoppers: raise your grocery budget, temporarily, by 25%. Use that extra 25% to engage in some bulk buying, taking advantage of big sales when you see them. Eventually, you won’t need that extra 25%. In fact, your household budget will now be significantly lower than it was before because most of your household purchases are simply irregular refills of things you already bought in bulk, plus you now can sit and wait for the truly good discounts. This post was produced in collaboration with Pampers. This is definitely important. You wouldn’t believe how many times I did the math and found it was actually more expensive to buy in bulk. Which was, of course, completely baffling, but who knows. Miss Thrifty, I cannot express just how happy I am finding this awesome post about buying in bulk. I am a mother of two children under 4 years and this certainly helped me. I often look for best deals on bargain buys for busy mums. And, I never think twice and just make the buy but I am certainly going to remember one specific point: “Be wary of bulk-buying a product or brand you haven’t bought previously.” Thank You very much. I find that using reward card points and voucher codes are the most effective way to see some reduced costs as most retailers and brands prevent you using 2 voucher codes consecutively.